These are Virginia white-tailed deer. They are common here in the mountain-valley region. 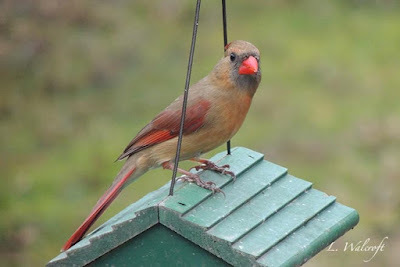 The Northern Cardinal with the light green feathers and red accents is a female. 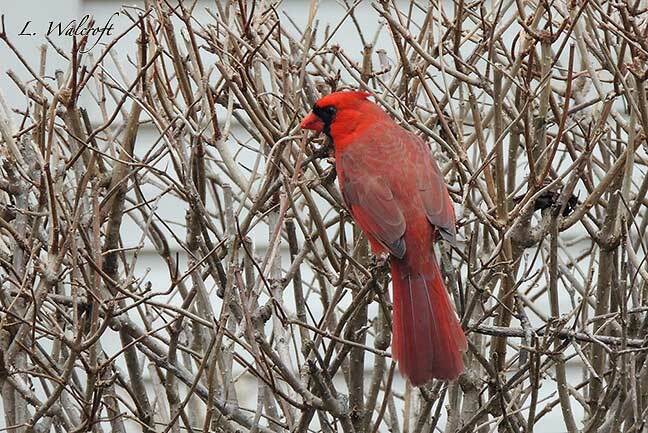 The red cardinal is a male. and I'd Rather B' Birdin'. ...I was amazed, here on Maui I saw some cardinals. Cardinals are always a favorite of mine! And your deer photos are terrific! Thanks for sharing with us at I'd Rather B Birdin this week and for the birthday wishes. Hello, I love the sweet deer and the cardinals are beautiful. Lovely photos. Thank you so much for linking up your post. Happy Sunday, enjoy your day and new week. PS, thanks for visiting my blog and for leaving a comment. Fotografias maravilhosas, aproveito para desejar um bom Domingo. You showed the real beauty of nature! I love these beautiful birds ! Great photos! I love the deer turning around to look back at you. 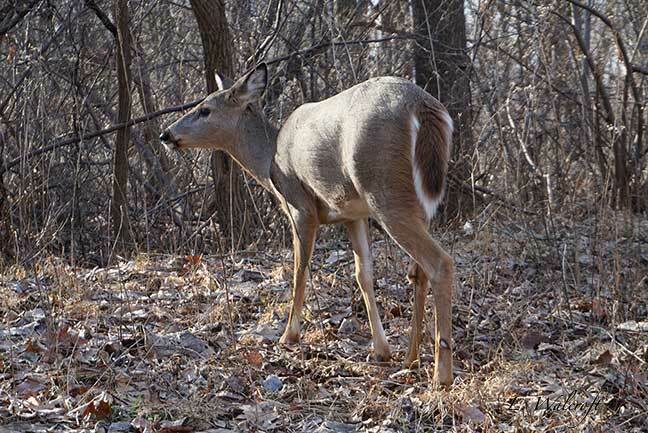 Are the deer hunted in your area? Just loving the "shots" you got of them. I wouldn't want them to be too friendly to people if someone wants to eat venison. Those are great cardinal shots too! And of course the deer take note of you! 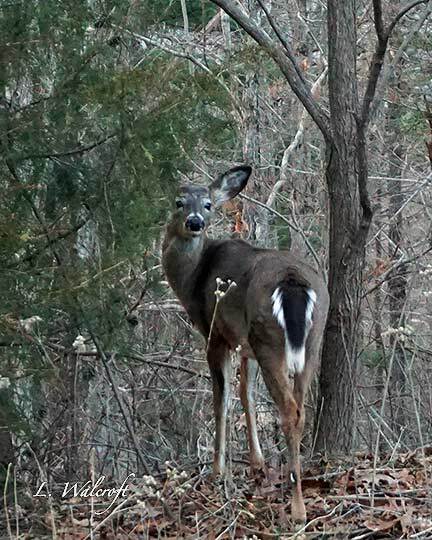 Nice photos of the deer and the cardinals. The deer must have heard you approaching. Have a wonderful new week! I always have thought that the female cardinal is as lovely as the male, in a quieter way. The deer are sweet. Linda - I miss seeing cardinals … thanks for sharing them with us. Fabulous Linda, loved all of these.